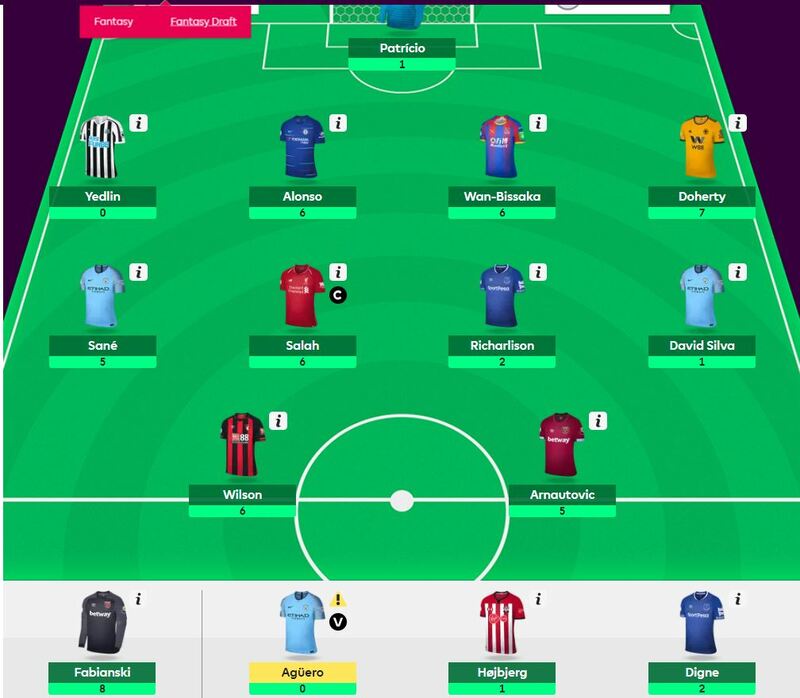 Here’s our fantasy premier league team tips GW15 article where we analyse the teams of 10 top FPL managers. These 10 managers have not finished outside the overall rank of the top 10k in the last 3 seasons. Considering how variable the last 3 years have been this is remarkable consistency and shows an ability to adapt strategy in different seasons. It also gives you a view other than my own on strategy and player selection. 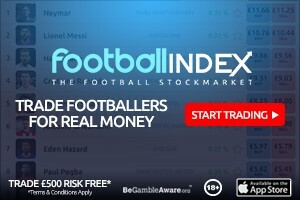 The average score of the managers in GW14 was 52 taking into account point deductions for extra transfers. That’s compared to the game average of 49. That’s 3 points and 6% above the game average score. High score of the 10 was 62. The low score was 38. A spread of 24 for a relatively average scoring gameweek. The top 10k captain choice (from the excellent free site FPL discovery) was 50% Aguero and 24% Sterling and 12% Hazard. This time not close to the FFGeek poll at all. 5 of the 10 managers made a transfer. A relatively low score of 45 this week. His transfer this week was Mane out and Sane in. Robertson owned by 73% of the top 10 but 4/10 top managers. This is smoothed out though by 7 of the 10 managers owning a Liverpool defender. Things are widening though with Richarlison owned by 72% of the top 10k vs 10/10 of the 10 top FPL managers. Arnautovic is similar with a 25% difference the same way. Here’s a team which tries to make a combination from the most represented players. It is meant to be a menu of players rather than a realistic team. The TV is £104.0m. I feel that things are going to change significantly over the next 2 gameweeks so I’m going to put this to one side to not distract people. Besides the obvious Aguero transfers happening as we speak, my prediciton is the Wolves D of Patricio, Doherty ans Bennett will be a noticable change that trends here. Their impressive clean sheet era has come to an unimpressive end. Unless Doherty scores there is no longer value. So see ya later wolves. It’s an interesting dilemma now. Selecting high ownership players who are also likely to be captain favourites, as a defensive shield, has been a trusted tactic to avoid huge ranking drops. The way forward now seems to be to come off two massively owned template players In Aguero and Hazard to accommodate Kane. A huge risk given ownership but essential and a great opportunity for gains ? How do the top managers view this ?? The tide is going to turn I feel. The great fixtures upcoming of both Spurs and Arsenal mean that I am making the plays of swapping Salah, Mitro and Aguero for Sane, Kane & Aubameyang. (Salah will stay for the Burnley game Wednesday). Liverpool have tricky fixtures coming up after that, so I feel Salah will not be a captain option for most who keep him for all but 1 of their next 6 fixtures after the Burnley game (the home fixture with Newcastle). I am keeping Hazard as he might now be a decent differential with good upcoming fixtures after the City game. Anybody else planning something similar? Yup thinking the same as you Ian. I have two transfers this week, Salah is gone and Sterling is in, his form is too good to ignore now – this seasons Salah? 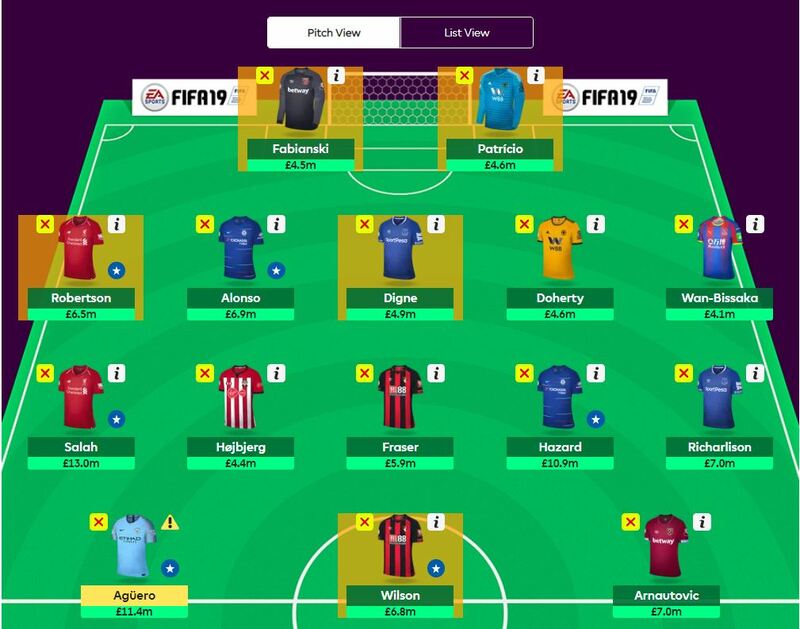 I am agonising over replacing Aguero with Kane or Auba. Auba’s form is better, but Kane is probably the safer pick.